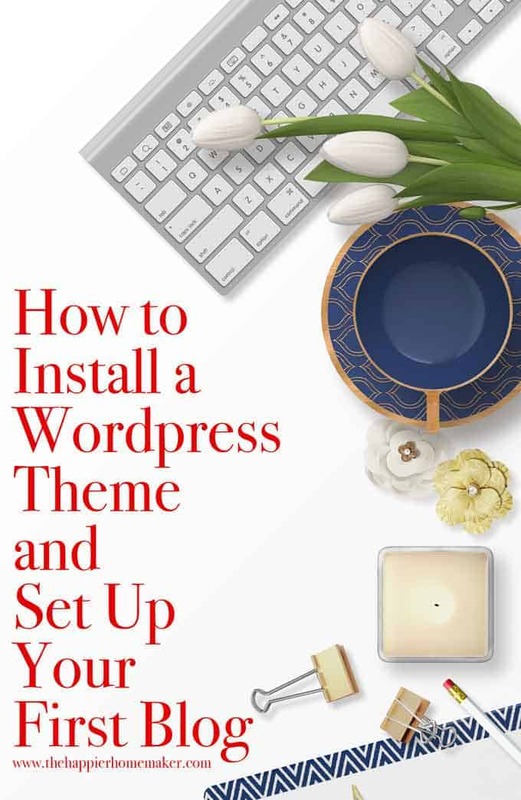 When you install WordPress you have your choice of free WordPress designed themes you can use (see them here) or you can choose to purchased a theme. I, along with most bloggers I know, choose to use paid themes that use the Genesis Framework. Think of Genesis like a basic setup for the functionality of your blog, and then the “Child” themes that are built on it change the looks and layouts. Sort of like the frame of a house and then you can change the roof or siding, etc. Genesis Framework is the gold standard for blogging in my opinion and the majority of blog designers and bloggers use it. You definitely don’t have to use it but it’s something to keep in mind as you grow as a blogger. If you do install Genesis Framework it’s important to note that once you buy Genesis you own it forever, you can easily change themes from any of the hundreds of themes built on the Framework-see a huge selection of different themes here. 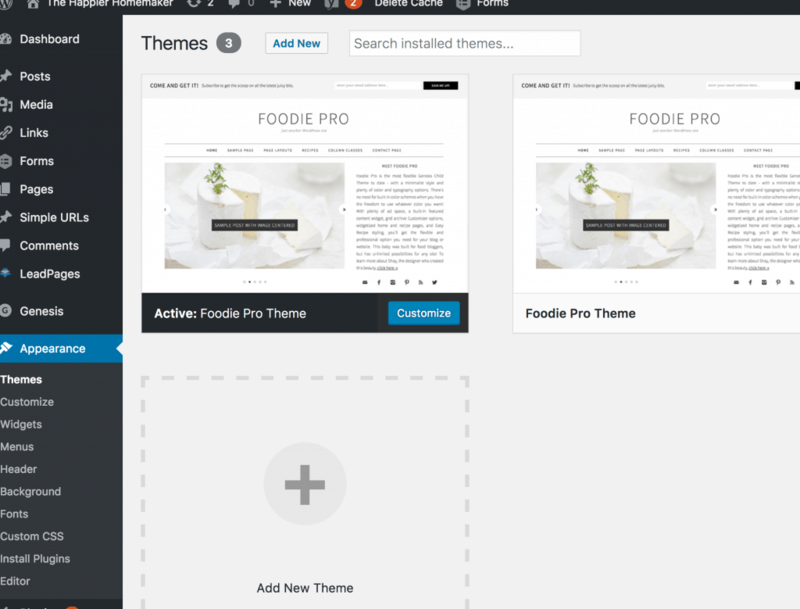 I am currently using a theme called Foodie Pro and I love it-it’s very easy to customize. Many food bloggers and lifestyle/craft bloggers use it. In the past I have used the Lifestyle theme as well. You can always change your theme down the road, it’s not a forever thing! Now you can start to customize your theme and writing blog posts. In your WordPress Dashboard you can add a new blog post in two ways-either click the +New button at the top of the screen or click Posts in the lefthand toolbar and then choose Add New. Either option will take you to the composing window. You can also do the quick draft option on the right side of your Dashboard and title and type up a quick draft of your post then save as well. Your compose screen may look a little different than mine depending on your theme and what Plugins you have installed on your blog. Plugins are little developer tools you can use to add functionalities to your blog, I’ll go over some of my favorite and must-haves a little further down in the post. First, I just wanted to get your started writing! You can see all the standard typing tools in above your composition window along with any plugin specific buttons you might need-I have a recipe plug in and some social plugins showing in my screen above. To add an image to your blog hit the Add Media button below you Post Title. This will pop up a screen where you can add your image. **Blogger Tip: Resize your images to the size of your blog’s display to decrease load time! I wish someone had told me that when I first started, it slowed my blog down a ton and I had to pay someone to fix it as my blog grew! My images are size to 680 pixels wide, you can use a free photo editing software like PicMonkey to do this if needed. On the right side of the screen you may assign your blog post to a category or add tags if you wish. 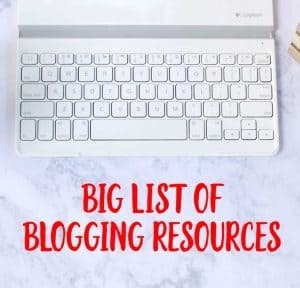 (Categories can be created by clicking Post on the left hand toolbar and then selecting categories-I highly recommend setting up at least a few categories to get started with to keep your blog posts organized. When you are finished writing your blog post you can save it as draft on the right top of the screen or schedule it to post in the future or go ahead and publish immediately. Akismet – this is an antispam plugin that filters comment spam on your blog. You may not realize what a big problem comment spam is but you’ll find out soon enough if you don’t install this plugin. Free for personal blogs. Genesis Simple Hooks and Genesis Simple Sidebars– if you are using the Genesis Framework this plugin makes it super easy to customize your theme without knowing complex code. Most tutorials you’ll find online for tweaking your blog will require the use of this plugin. ReplyMe – a simple plugin that emails the commenter when you answer a comment on your blog. Makes replying to your readers so easy! WordPress Editorial Calendar – there are a lot of editorial calendar plugins out there, free and paid, but this free version is what I’ve been using for years. It makes it easy for me to plan out my blog posts, store ideas for the future and drag and drop posts to different dates. Really priceless in my opinion. Yoast SEO – this is the gold standard in SEO for blogs (Search Engine Optimization.) You are putting the work into your blog-it’s worth the minimal effort to help people find it better with search engines. Yoast makes it easy and user-friendly with this free plugin. No need to pour over boring SEO articles online, just follow the plugin’s directions and each of your blog posts will be optimiaed for search. Do yourself a favor and start with good SEO practices from the beginning and you’ll be at an advantage over most other new bloggers. Category Thumbnail List – this plugin makes a nice little thumbnail list from your content in any category. It’s free and how I set up my DIY Project Gallery page. 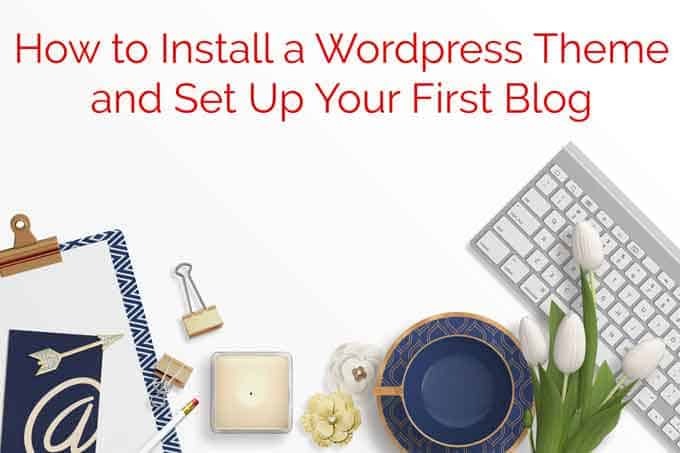 So by now you should have been able to set up your WordPress Blog and start churning out your first blog posts. Keep creating that amazing content and be sure to sign up for my blogging email list below for subscriber only tips, tricks and resources!